When Fable III lead designer Peter Molyneux talks, gamers listen, especially when it's about the upcoming motion control craze. 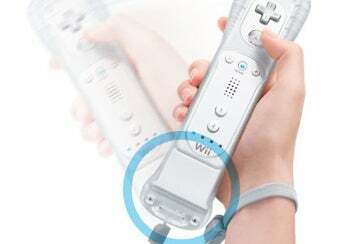 Calling it 'upcoming' isn't fair to Nintendo's four-year-old Wii, but when Sony and Microsoft release their respective dual-wand and controller-free console add-ons this holiday, change is in the offing. Question is, who's the real change-maker? Microsoft's controller-free Project Natal, according to Molyneux, whose reaction to Sony's wand-based PlayStation Move--revealed last week at GDC 2010--sounds at best like tepid curiosity. "We're not really surprised, are we?" said Molyneux of PlayStation Move in an interview with Eurogamer. "I mean at E3 last year we saw they were having a wand, and that's kind of what I expected. It looks like they've taken a step forward but it's not as big a step as something like Natal, I don't think. This is purely me talking personally, but I think maybe it's slightly more a device for the core than it is for the casual market, because I think it's quite precise." Of course we're not really surprised by his answer either, since he's technically the Creative Director of Microsoft Game Studios for Europe. That said, he made a few platform-agnostic concessions. "As a designer it's another one of those things I'd love to get my hands on and to play around with," said Molyneux. "As a consumer, everyone's talking about motion control now. I mean, I'm starting to get confused. It's kind of like the arms race, with the Wii MotionPlus and now the Sony Move and now I'm getting kind of confused." Who's confused? The Wii offers visually lower-end games with workable but often wobbly motion controls, as well as access to Nintendo's first-party franchises like Mario and Zelda. The PlayStation 3 paired with the PlayStation Move offers visually higher-end games with a wand-based approach that's invested in high-precision motion controls. And while the Xbox 360 also offers visually higher-end games aimed at mainstream gamers, its Natal motion control angle borrows a page from Sony's PlayStation Eye, ditching the controller entirely. Will Natal offer precise enough tracking to win enthusiast gamers away from Move? Will Move's wand-based approach be intuitive enough to lure casual gamers, who'll be attracted to Natal's hardware-free angle? Will we all just collectively shrug and stick with our Wiis? According to Molyneux, everything depends on the games. "To be honest, it's all down to what us poor old designers do with this stuff, because all these guys do is make the hardware," he said. "Whether we utilise that hardware in a real way or whether we just take shortcuts, that's really going to be where we succeed or not." Just don't expect too much from the first round, he warns. "I don't think the first wave of these motion control titles will be what you expect," said Molyneux. "Just as with every hardware chain, it's the second wave where they usually come up with stuff that's interesting. So the second wave could be really cool."